2. 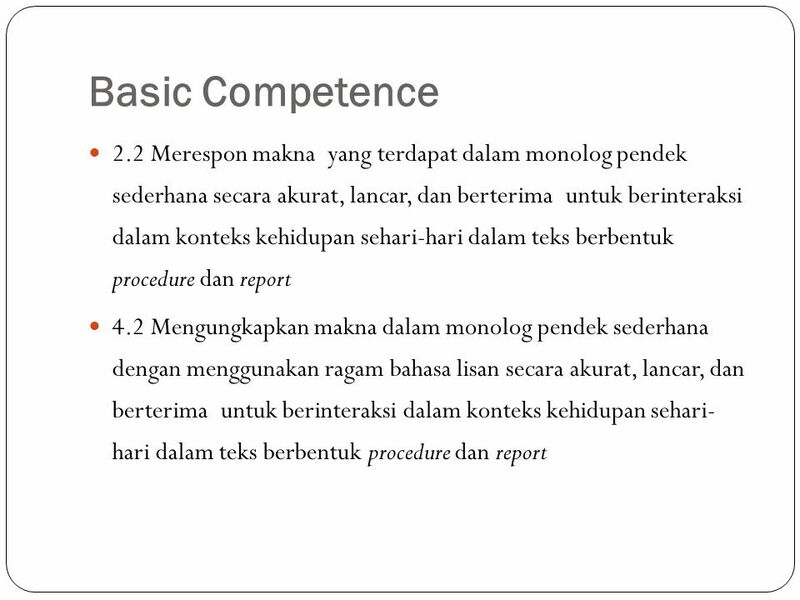 Memahami makna dalam teks lisan fungsional dan monolog pendek sederhana berbentuk procedure dan report untuk berinteraksi dalam konteks kehidupan sehari-hari. Berbicara 4. 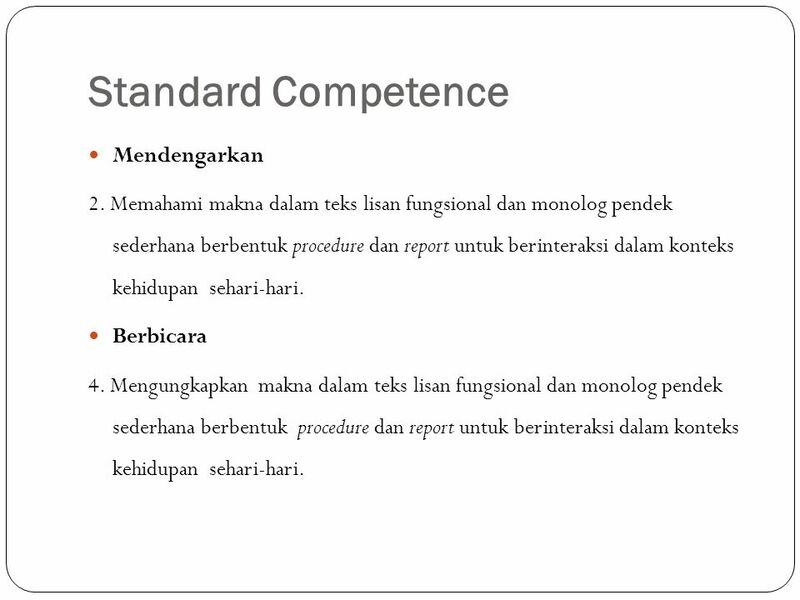 Mengungkapkan makna dalam teks lisan fungsional dan monolog pendek sederhana berbentuk procedure dan report untuk berinteraksi dalam konteks kehidupan sehari-hari. 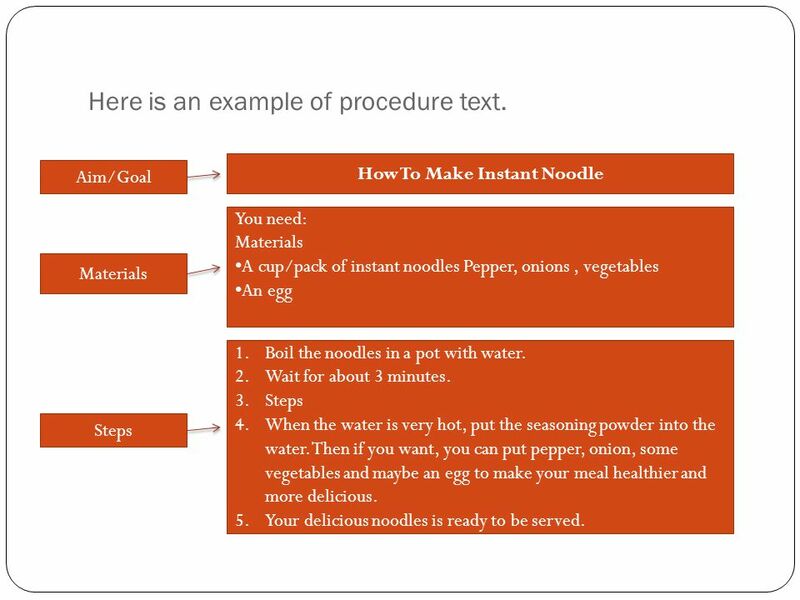 Procedure text is a text that explain how to do or make something. This text uses the simple present tense, often the imperative sentence. It also usually uses the temporal conjunctions, such as first, second, then, next, etc. 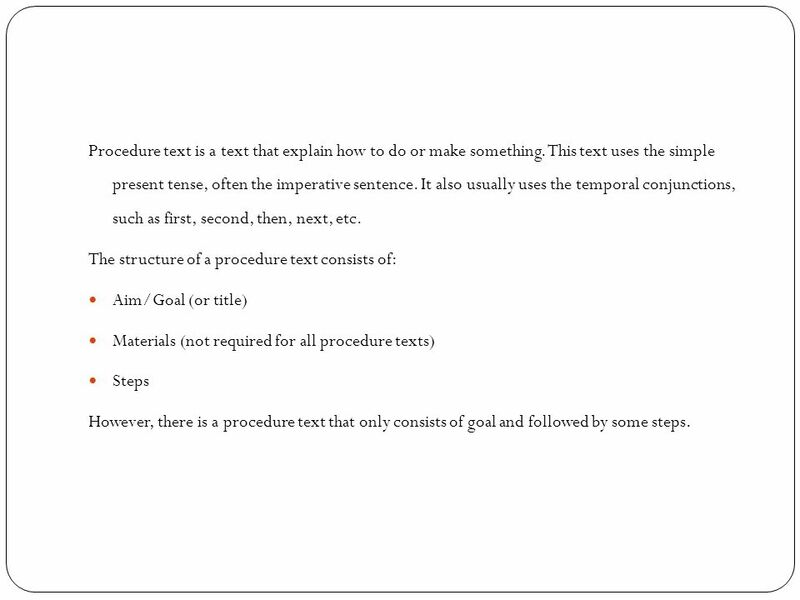 The structure of a procedure text consists of: Aim/Goal (or title) Materials (not required for all procedure texts) Steps However, there is a procedure text that only consists of goal and followed by some steps. 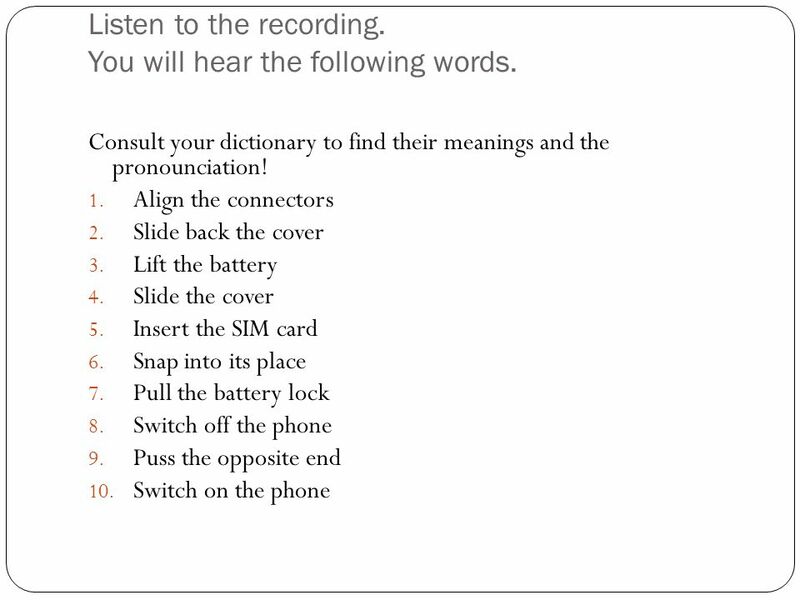 5 Here is an example of procedure text. 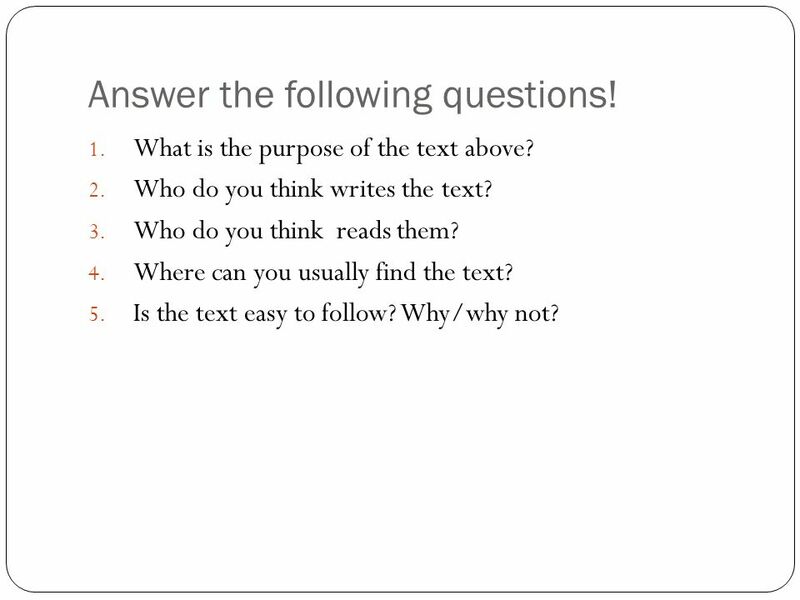 6 Answer the following questions! What is the purpose of the text above? Who do you think writes the text? Who do you think reads them? Where can you usually find the text? Is the text easy to follow? Why/why not? 7 Listen to the recording. You will hear the following words. 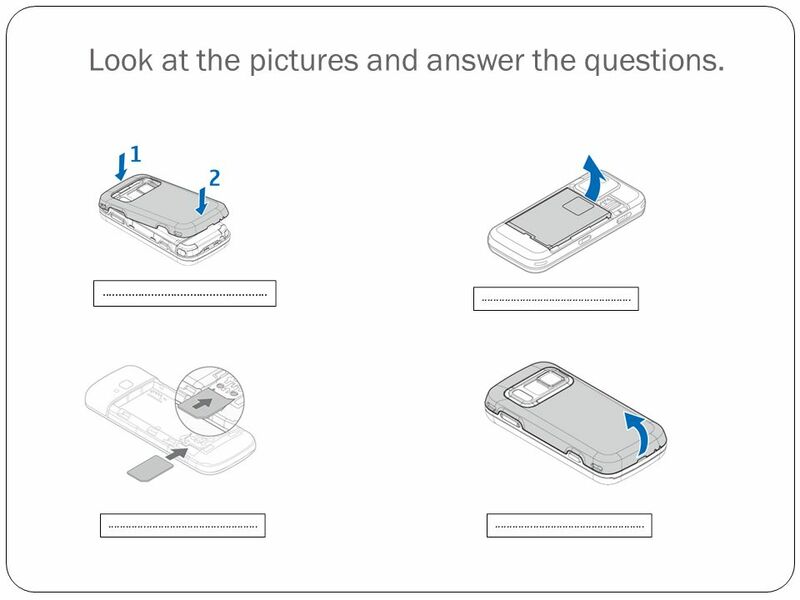 8 Look at the pictures and answer the questions. 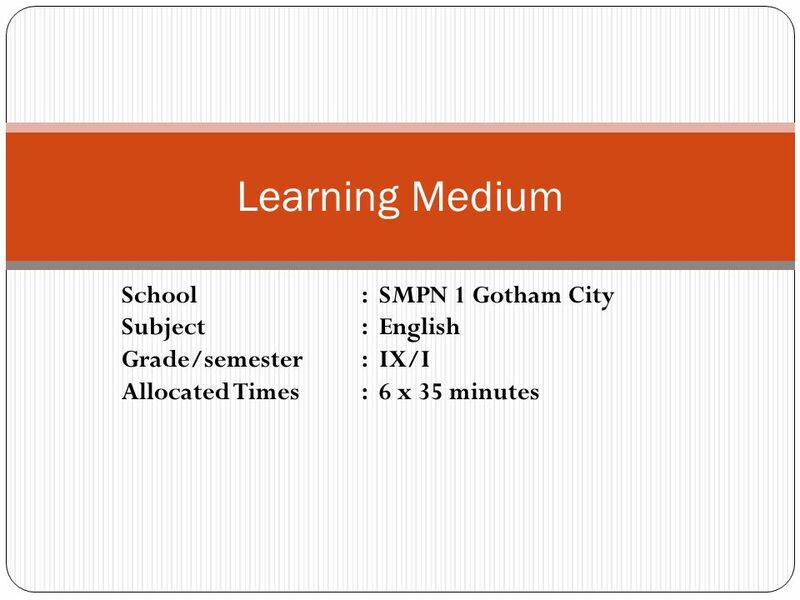 Download ppt "Learning Medium School : SMPN 1 Gotham City Subject : English"
Mengungkapkan berbagai makna dengan langkah- langkah pengembangan Retorika yang benar didalam teks tulis terutama yang berbentuk Procedure KD QUIS PROFILKU. SK. Memahami makna teks tulis esei berbentuk analytical exposition dalam konteks kehidupan sehari-hari dan untuk mengakses ilmu pengetahuan. KDMerespon.